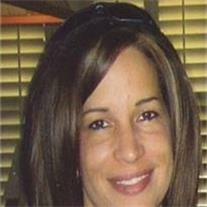 Diane Norman, 45, of Chandler, AZ passed away on December 12, 2010. She was born in Aurora, CO on September 3, 1965. Diane enjoyed spending time with her family, was a loving mother, wife, aunt, cousin, sister, and friend. Diane worked at the Mesa Fire Department for 10 years. She is preceded in death by her mother Maria Miranda and father Richard Fifield. She is survived by her husband Larry, daughter Ashley, son Justin, brother Rick Fifield, sister Tara Fifield Papano, stepsister Malinda Hunt, as well as numerous nieces and nephews. Services will be held on December 22 at 10:00 a.m. at Sun Valley Community Church, 456 E. Ray Rd., Gilbert, AZ 85296. Arrangements are being entrusted to Bunker’s Garden Chapel, 33 N. Centennial Way, Mesa, AZ 85201, 480-696-6883.